Poverty and Inequality Poverty can be absolute or relative. How thresholds of poverty are defined is contentious – what are basic minimum living standards? Relative poverty is defined in terms of inequalities: the poor in a wealthy country are likely to be better off than poor in a developing country. Information society A society where access to and manipulation of information becomes the key determinant of one’s place in society. Meritocracy is a social order in which each individual acquires social status on the basis of merit: skill, ability and effort, rather than gender or class. Superficially a fairer society, the notion is in reality hypothetical due to complexities of defining merit and tends to cements social position, consigning ‘non-elite’ members of society to unfulfilling manual labor. Technological determinism A belief that technology develops independently of society and in so doing is the central cause of consequent social ‘impacts’. Widely challenged, nevertheless the idea is found in many historical accounts of social change and lies behind countless predictions of future social trends. The author in his article discusses aspects of inequality: inequality of outcome and inequality of opportunity. It seems that governments and non-governmental organizations are trying to concentrate on inequality of access. They argue that ‘’digital divide” would take place between those who have access and those who don’t. This limits the role of governments or organizations to only providing the access. However, as studies show ICT’s “in public places make almost no difference…in later life. Family, geography and other social factors are much more important for ‘life-long’ learning in the new technological era” (203). We live in information society which identifies information as a key point. It not only specifies access to information but also “what you do with it” (204). Therefore, anyone can become a successful user of information in a meritocratic society. “If they apply their skills successfully, then they deserved whatever reward came their way; should they be unsuccessful, then really they could not complain” (208). Lax’s idea of meritocratic society seems to work perfectly in in-class settings. Everyone has equal access to technology, the same professor, and same amount of time to spend on in-class work. Therefore, academic success in the class doesn’t depend on access to the technology, gender, socioeconomic status, etc. but on desire and ability to learn of each individual. As Jenkins said in his article, “It matters what tools are available to a culture, but it matters more what that culture chooses to do with those tools” (Jenkins 2009). 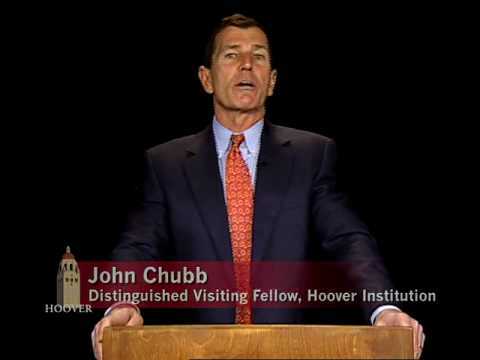 The video of John Chubb’s speech could be found here. Lax, Stephen. Access Denied in the Information Age. New York: Palgrave Macmillan,, 2011. Jenkins, Henry. Confronting the Challenges of Participatory Culture: Media Education for the 21st Century. Cambridge, MA: The MIT Press, 2009. Print. In response to Connections to course outcomes I totally agree with the way you put it. One thing I deem notable is the fact that those persons’ on the lower end of the inequality spectrum are not likely to be reading and learning about their unfortunate situation in the context that we as a class are. This also emphasizes the fortunate circumstance at our fingertips, as we are quite well off in terms of inequality curve. It also puts more weight on our shoulders to make the most of it!